William A. “Bill” Tyrrell of Sebastian, Florida passed away at his home on Jan. 11. He was 78. He was born in New York City and spent his childhood in Rowayton and Darien. He attended Darien High School and then Johns Hopkins University, graduating in 1962 with a degree in engineering. He lived in many places over the years including St Thomas, U.S. Virgin Islands, Hobe Sound, Florida, Rumson, NJ, Stuart, Florida and Sebastian. He worked for Branson Ultrasonics in Connecticut), RCA, Pratt & Whitney, Branson Boat Co. in Florida and Motion Systems in New Jersey. His many interests included motorcycles, antique cars, spear fishing, flying, guns, coin collecting, and playing the guitar. He had a quick wit, a dry sense of humor and a love for the outdoors. — This obituary from Strunk Funeral Homes and Crematory was previously published by TC Palm and the Asbury Park Press. Throughout his life on countless occasions he impressed both friends and strangers with his uncanny ability to fix, repair, modify or replace just about anything in need of such. He is survived by his sons, Colin Tyrrell (wife Jennie Davis) of Chassell, Michigan and Kenneth Tyrrell (wife Sharon Marshall), of Tallahassee, Florida; and grandchildren: Andrea Tyrrell and Clark Tyrrell, of Tallahassee. He is also survived by his brother, Patrick Tyrrell (wife Judith Williams) of Crofton, Maryland. He was preceded in death by his parents, Norval E. “Ty” and Henrietta “Etta” Schmitt Tyrrell. He will be greatly missed by his family and many close friends. A celebration of life for friends and family will be held from 4 to 6 p.m., Feb. 6, 2019 at Captain Hiram’s, 1580 U.S. Route 1, Sebastian, Florida. Interment and service will be at 4 p.m., May 18, 2019 at the United Church of Rowayton. 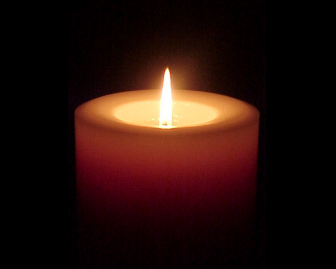 Former Darien resident Carolyn Schoonmaker, passed away peacefully in Naples, Florida on the morning of April 2 with her two sons, Sam and Eric, by her side. In passing, she rejoins her beloved husband, Sam, who predeceased her.